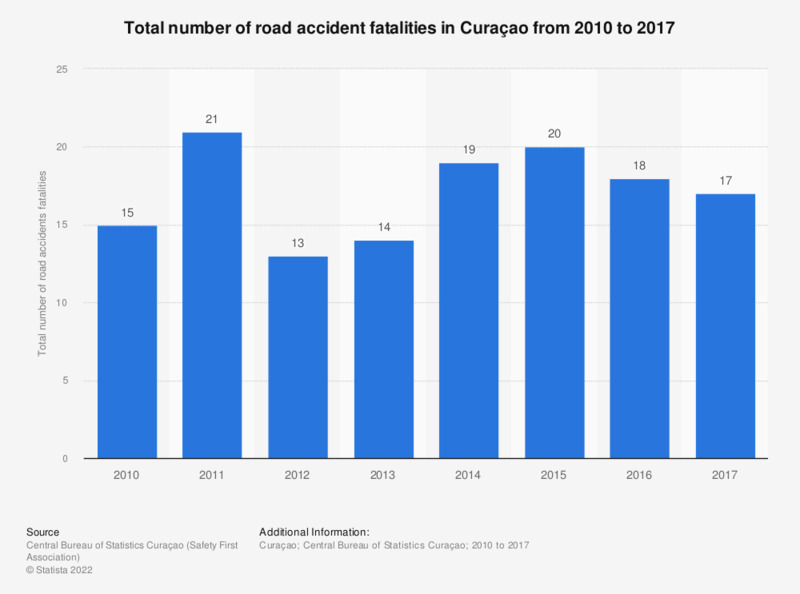 The statistic displays the total number of road accidents fatalities in Curaçao from 2010 to 2017. The number of road accident fatalities in Curaçao fluctuated within the time frame considered, peaking in 2011 at 21 fatalities and decreasing to the lowest number of road accident fatalities registered in the following year. The number of road accident fatalities decreased annually from 2015 onwards, to 17 road accident fatalities in 2017.